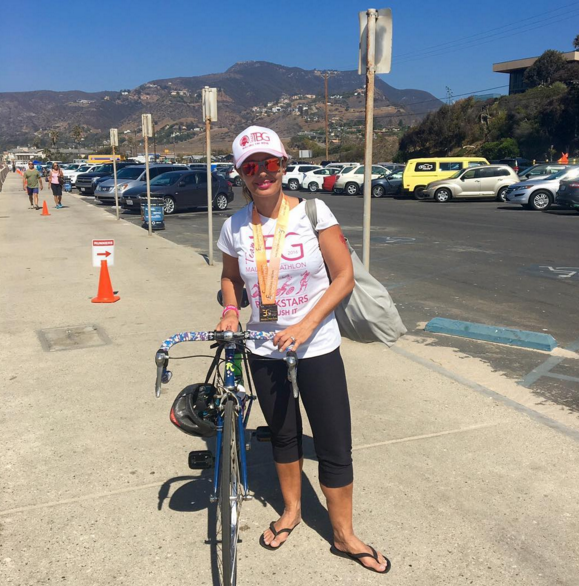 Beloved EC employee and breast cancer survivor Sam Kuhr took part in the Malibu Triathlon as a member of team TBG, a group of survivors, family members and supporters, lead by reconstructive surgeon Dr. Tiffany Grunwald, and included Dr. Kristi Funk of the Pink Lotus Foundation. 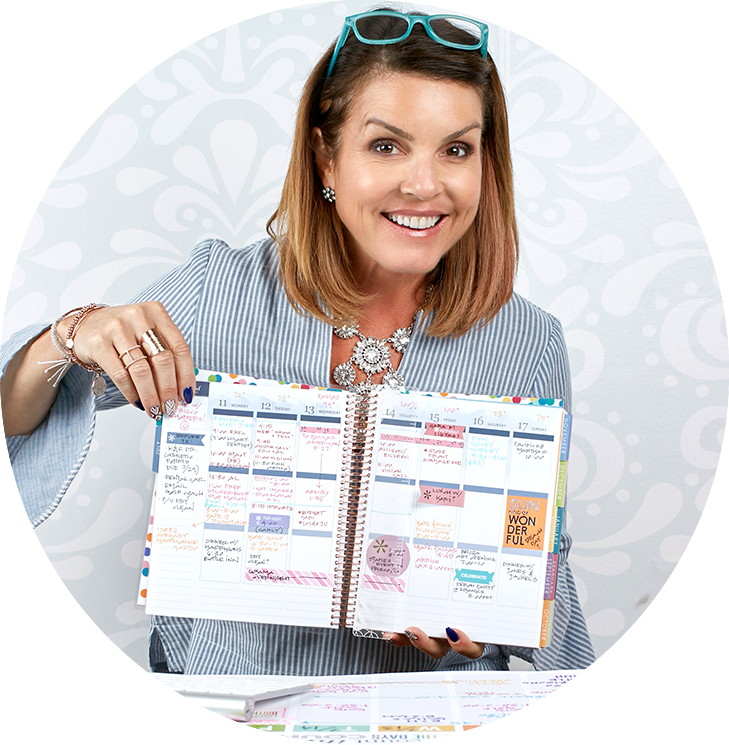 To honor her courage & support this wonderful foundation, Erin Condren is proudly donating 50% of all proceeds of our signature lotus design sold in October. Read more of Sam’s triathlon tale and how you can show your support, too! 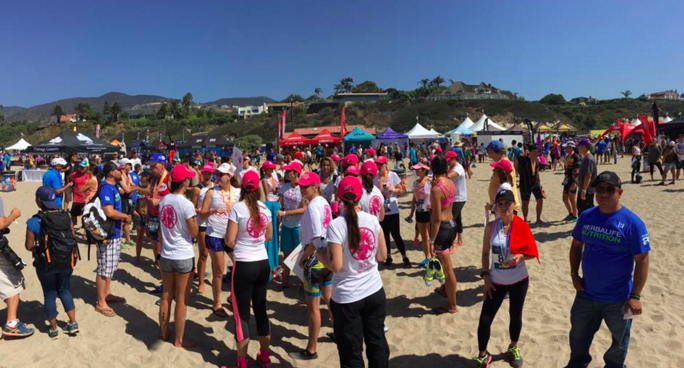 So… I have just competed in the 2016 Malibu Triathlon. I was asked to be part of a relay team by my fantastic reconstructive surgeon, who has sponsored Team TBG for the past 6 years. 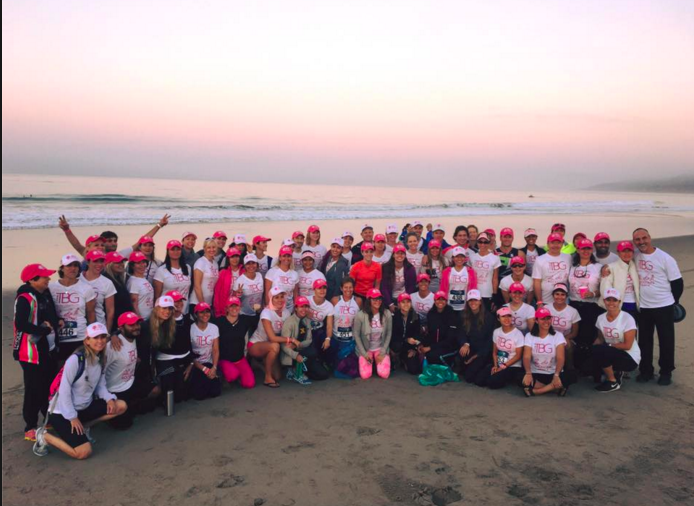 Each year her office has dedicating this event to the strong women that their practice has been privileged to care for – all breast cancer survivors. These survivors inspire others with their courage, perseverance, and ability to remain positive as their bodies heal. (Yes, my doctors are angels sent from heaven!) As I cycled through the rolling hills of Malibu for 25 miles last Sunday, I had plenty of time to reflect on the past 16 months. I couldn’t help but think about how competing in the triathlon was an analogy for my cancer diagnosis and treatment. Let me share why. 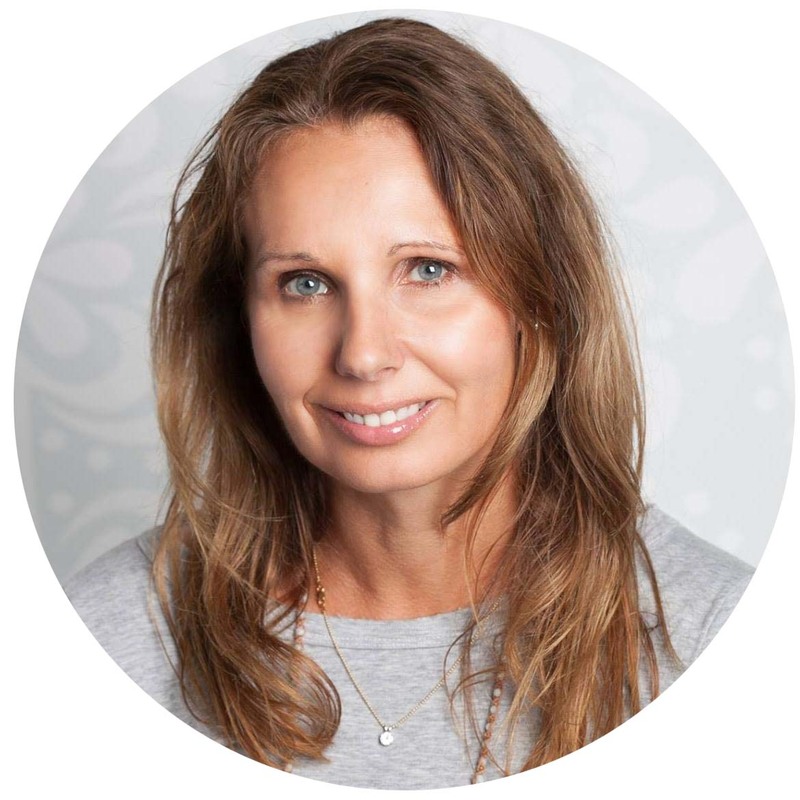 When I was diagnosed with breast cancer, the first couple of weeks were filled with anxiety, fear of the unknown, and apprehension. Similarly, when I agreed to be the bike “leg” of our relay team, and was standing waiting for my swimmer to arrive and pass over the electronic chip that measured our time, I was filled with that same anxiety and fear of the unknown. In fact, when I told my husband that I was biking in the triathlon, his response was, “really?… but you’re not a biker!” You see I’m not… in fact I didn’t even have a bike growing up as a child, but I was assigned this leg of the relay, and rather than try to switch to be a runner where I’d be most comfortable, I just decided to dig deep and figure out how to do it. Finally my swimmer finished the mile swim and passed over the chip. I had my helmet on and was ready to race. My heart was pumping and, as this was my first triathlon, I didn’t know what to expect. For some reason I was able to put all my anxiety behind me and just start pedaling through the sea of bikers and make my way to the beautiful course along the Pacific. It was almost instinctual. It was that same feeling I had when I finalized my treatment plan to attack my cancer. I had chosen my amazing team of doctors after rounds of questions, interviews, and research, and scheduled my double mastectomy. Both times, I didn’t know what to expect… yet I was able to just get going and instinctively move through the process. At first, I was very hesitant to shift gears. I didn’t really want to pass people, and my stomach was swirling with the ‘what-if’s’. What if I couldn’t finish the race? What if I got a flat and couldn’t fix it? What if I fell and twisted my ankle? I mean how embarrassing would that be!?! Those same feelings were racing around my head as I began preparing for my big surgery. I had a happy smile on the outside, but inside I was apprehensive, running all of the ‘what if’ scenarios. Are my will and living trust current? Did I pay all of the bills? Do the boys have enough underwear? What if I die on the table? Do I have enough food for them to eat for a month? Should I write letters for their wedding days in case something goes horribly wrong? What if they find something else? You wouldn’t believe the crazy stuff that popped into my head. After the first few rolling hills, at about mile 6, I realized that this was actually not too hard. I began to settle comfortably into the ride, and I realized that I totally had this. In fact, I began to shift gears, and suddenly it was ME saying ‘on your left’… and passing people! Same as the first big surgery… I’m not going to lie… it was a monster… but after the first few days, and I began to settle into my new normal, I also realized that I totally had this. My boys were fine, my friends were bringing food every day, and I was starting to heal. Yay! There were a couple of really big hills that caused me to shift gears a little higher and were a bit of a challenge, but again… I knew that I had this and I was cruising along the course. Before I knew it, I was at the halfway point and turning the hairpin bend to ride home. I had that same feeling after my third surgery. I totally had this, I was recovering as quickly as I could each time, our family was in this bizarre cancer rhythm now, and I had my eye on the finish line. The last 5 miles were challenging with lots of hills, but I realized that I was overtaking a LOT of people… even those spandex wearing, fierce looking, seasoned cyclists riding funny looking aerodynamic bikes. 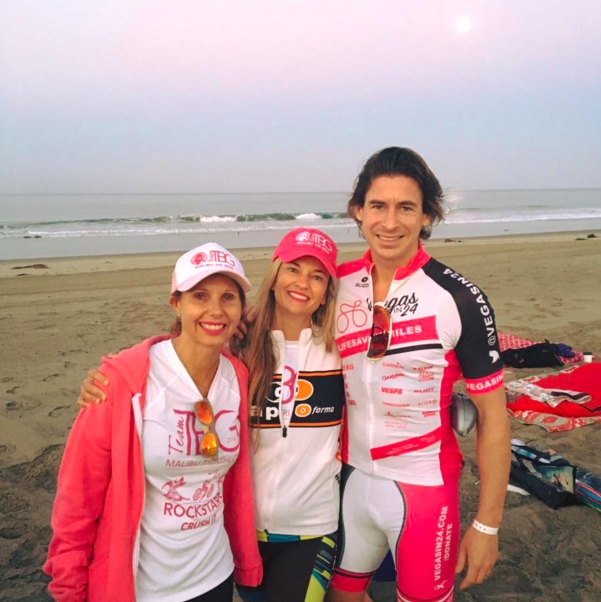 My inside voice was saying, “On your left beefcake… let this Warrior Goddess through to pedal off into the sunset… watch and learn!” And when I reached the finish line, I felt so strong, proud, and felt a huge sense of accomplishment. Similarly when I was entering my fifth and final surgery of 2015, instead of feeling weak and frail, I felt stronger than ever. I knew what to expect and what I needed to do to reach the finish line. And I could almost taste it. My experience with Team TBG was incredible, emotional, and life-changing. We had all been through so much physically and emotionally in the doctor’s office and on the racecourse, and the gratitude and connection we all felt was overwhelming. We shared this incredible energy and experience to raise awareness and funds for three breast cancer foundations. Our 23 teams of cancer survivors, family members, and my incredible doctors, Dr. Kristi Funk and Dr. Tiffany Grunwald all crushed it together! Erin Condren has always supported breast cancer awareness. She is proud to support the Pink Lotus Foundation, and is donating 50% of the purchase price of a Pink Lotus collection item in our signature designs back to the Pink Lotus Foundation.